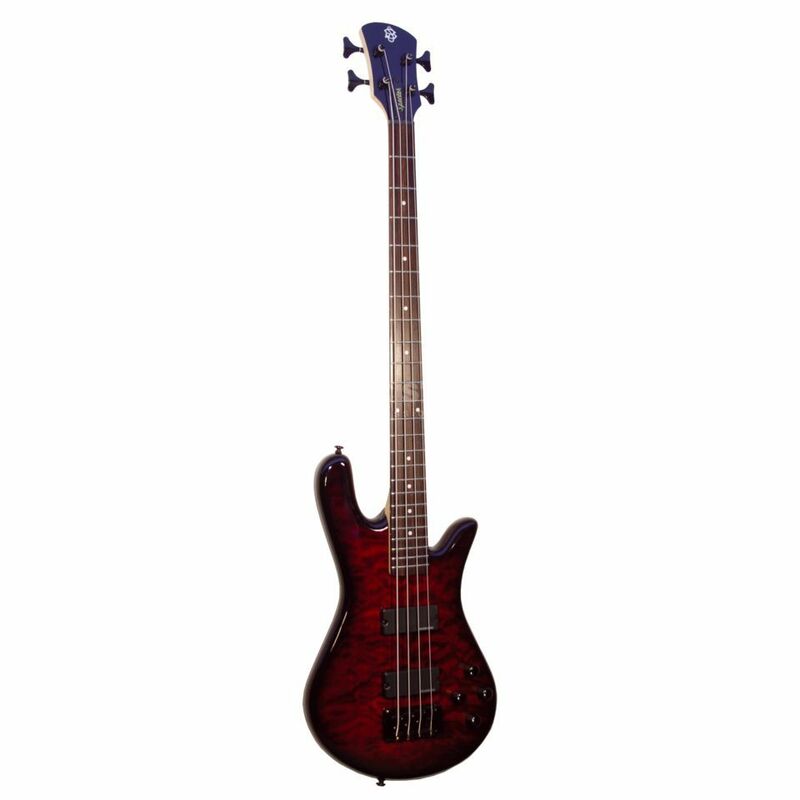 The Spector Legend 4 Classic 4-String Bass BC offers the coveted Spector NS body design at a price that is well within the reach of all bassists. The extremely comfortable curved body is crafted from solid maple and sports a genuine figured maple top, a three piece maple neck, a 24 fret rosewood fingerboard, and professional quality die-cast hardware. Specially designed SSD humbuckers are complemented by Spector’s TonePump Jr. active tone controls that offer 12dB boost and cut as well as interactive treble and bass controls. Adorned with a high gloss finish that accentuates the beautifully figured maple, the Legend 4 Classic offers the looks, tone, and playability of basses twice its price.